After trials that began with 139 hopefuls at the United States Olympic Training Center in Colorado Springs, Colorado, on May 26, and following the naming of 18 finalists on May 30, the 12-member roster for the 2016 USA Basketball Women’s U17 World Championship Team today was announced. 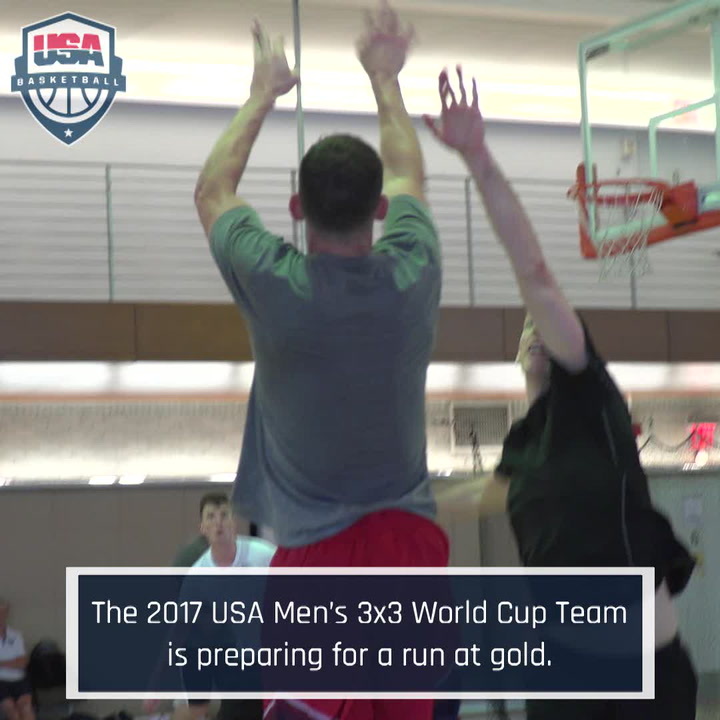 The 12 team members will return to Colorado Springs for training camp June 8-14, before the team departs on June 15 for the 2016 FIBA U17 World Championship, which will be played June 22-July 2 in Zaragoza, Spain. Players eligible for this team must be U.S. citizens born on or after Jan. 1, 1999. Named to the team were: Janelle Bailey (Providence Day School/Matthews, N.C.); Jenna Brown (The Lovett School/Marietta, Ga.); Samantha Brunelle (William Monroe H.S./Ruckersville, Va.); Charli Collier (Barbers Hill H.S./Baytown, Texas); Aquira DeCosta (St. Mary's H.S./Stockton, Calif.); Maya Dodson (St. Francis H.S./Alpharetta, Ga.); Destanni Henderson (Fort Myers H.S./Fort Myers, Fla.); Taylor Mikesell (Jackson H.S./Massillon, Ohio); Olivia Nelson-Ododa (Winder-Barrow H.S./Winder, Ga.); Sedona Prince (Liberty Hill H.S./Liberty Hill, Texas); Abby Prohaska (Lakota West H.S./Liberty Township, Ohio); and Christyn Williams (Central Arkansas Christian H.S./Little Rock, Ark.). The 2016 USA Basketball Women’s U17 World Championship Team will be led by Dori Oldaker, head coach at Mt. Lebanon High School in Pennsylvania, with USA assistant coaches Dianne Lewis of Thomas Edison High School in Virginia and Samantha Quigley, who is the head mentor at the University of St. Francis (NAIA). “With the finalists that we had, the committee could not go wrong,” said Oldaker. “I think the 12 that we have are outstanding young ladies on and off the floor, extremely coachable. I’m very, very excited to get back here Wednesday and get started with training camp. Along with DeCosta and Prince, the coaching staff helped the USA qualify for the 2016 FIBA U17 World Championship by virtue of a bronze-medal finish at the 2015 FIBA Americas U16 Championship. 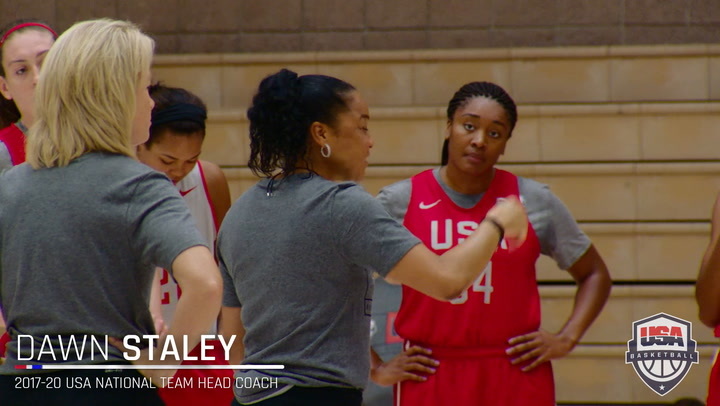 Team members with experience at the 2015 USA Basketball Women’s U16 National Team Trials include: Bailey, Brown, Collier, Dodson, Henderson, Mikesell, Prohaska and Williams. Two players are from the high school class of 2017; nine are from the class of 2018; and one will graduate high school in 2019. 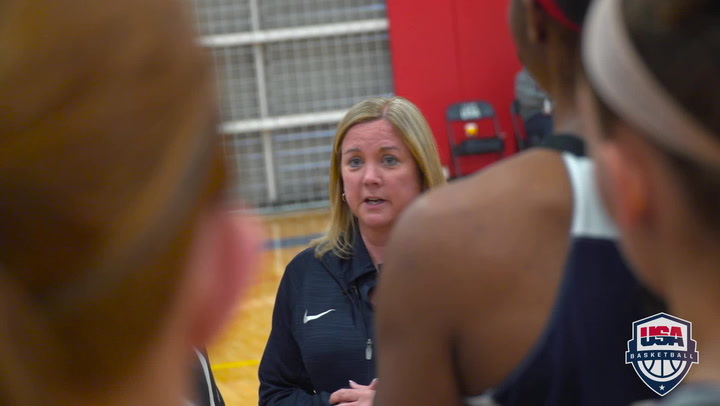 The USA Basketball Women’s Developmental National Team committee, which is chaired in a non-voting position by Carol Callan (USA Basketball Women’s National Team Director) is responsible for selecting the team. The committee includes AAU representatives Bill Larson and Sherri Pegues, National Federation of High Schools representatives Jody Patrick and Jill Rankin Schneider and athlete representative Yolanda Griffith, a 2000 and 2004 Olympic gold medalist who has played on five USA Basketball teams. 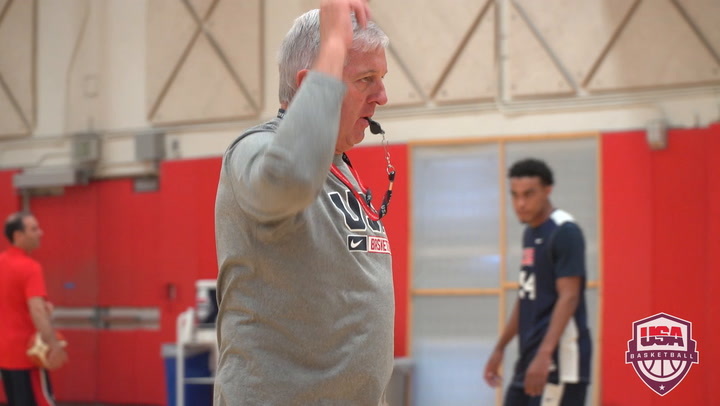 Take a quick look at some highlights from day 2 of the USA Basketball Men's Junior National Team October Minicamp. 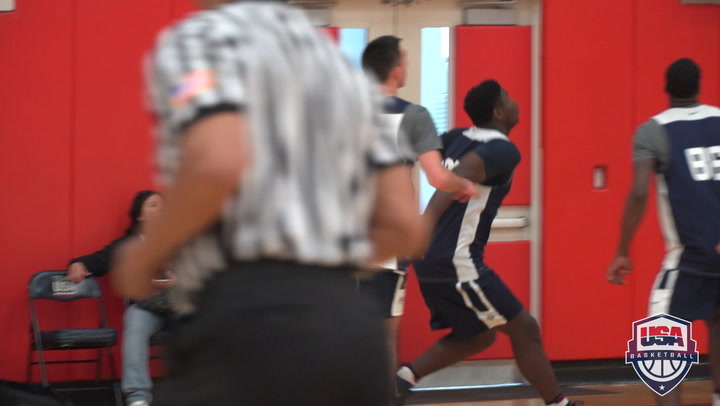 Two sessions in at the October USA Men's Junior National Tem minicamp. So far, so good, says USA head coach Don Showalter.